Steve Southerland serves as Senior Vice President of Capitol Hill Consulting Group. He was first elected to Congress in 2010 to represent Florida’s Second Congressional District and was its first elected Republican since Reconstruction. While in office from 2010-2014, he served on the Agriculture, Natural Resources, and Transportation and Infrastructure committees. Southerland was chosen by the class of 2010 to be its representative at the Republican Leadership Table for the 113th Congress and he also served as a Republican conferee for reauthorization of both the Transportation and Farm bills. Prior to serving in Congress, Southerland helped operate his family's mortuary business. Southerland and his firm will work with ALC on a variety of issues, including regulatory reform, transportation, federal forest management and biomass. 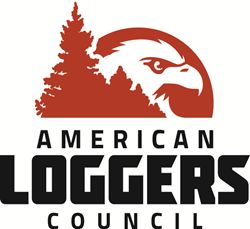 ALC's priorities include workforce development and recruitment, increased timber harvesting on National Forest System lands, uniform and predictable truck-weight standards, and the alignment of timber harvesting with agriculture under federal laws and regulations.